We are giving away $10 in free cash every day – no strings attached. This is no bonus you have to wager for 100 times, this is simply money to gamble online. Simple as that. All you need to do is take part in our competition and rank first. Every competition ends on 23:59 CEST. When you have won you will get notified and can enter your Skrill email address. The money will be sent within 48 hours. From Skrill you can deposit at any casino you want. 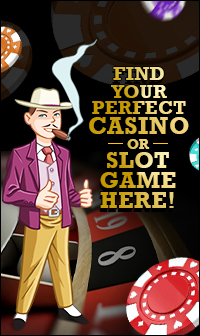 If you are unsure which one to choose look at our favorite online casinos. All you have to do is collect credits. You will receive 1 credit for each minute you stay at CasinoMobsters.com. When you are using Google, search for anything casino related and click on the CasinoMobsters result you will even earn 25 credits – it’s that easy! Click here for an example. If you don’t know what to do all the time just check out our free game database below! You have become a winner in competition(s). Problems or any issues with our competition? Just use the comment box below to get in touch! Thanks! CasinoMobsters reserves the right to block users with suspicious and manipulative behavior. Thanks for your understanding. When you refresh the page and visit the competition page you should see the form below the current table. There it says how often you won and is asking for email address. Can you please try again? I see that you won already and were able to enter your details accordingly. hello.. may i ask if still a chance to claim my unpaid win? we don’t see new wins in our report associated to your details. Esto es una estafa . Como explican que tenga 2000 créditos de ventaja y luego me pasen en menos de 2 minutos ? one can receive 100 points for each social media share so it is easily possible to achieve a few thousand in a few minutes. He compartido varias veces en Facebook y no me han pagado los 100 créditos. For a social media share to be valid there must be at least one click from the social media site (not from you of course). This is to prevent spam. So when you share on Facebook make sure someone clicks at least once. he compartido en facebook varias veces y aun amigo le dio click al post , pero he visto que no me han pagado los 100 creditos . eso es automatico o tarda en llegar los 100 creditos ? It is all automatic. We cannot tell why the click has not been counted but our analytics tells us that you were the only one clicking the Facebook link which does not count of course. Sorry but we can’t figure out why that is. caso consigo ficar em 1º lugar, como recebo o meu prémio se não tenho conta Skrill? skril não permite abertura de conta no meu País. Ok, what can you use instead of Skrill? Paypal, Neteller? Ok, we’ll send through Paypal. It says that you only accept payments through your website. We cannot send money directly to the given email address. Please change the settings that we can pay accordingly. Please get in touch with Paypal and let us know once this is fixed. Impossible . How someone can make 500 point and me shared and never won 100 points? can you let us know when and where you shared without being credited? We would like to investigate this. Because this that me dont understand how in few minutes someone make much points. And dont understand how can count 100 point if in the link no had reference and the users no make login. So I assume you mean facebook? We will take a look at this. The link as a reference that is tracking the activity to associate the share to your user.